Viknesh Vijayenthiran April 5, 2018 Comment Now! It was just over a year ago that Jeep confirmed plans for a Wrangler-based pickup truck to be built in Toledo, Ohio. 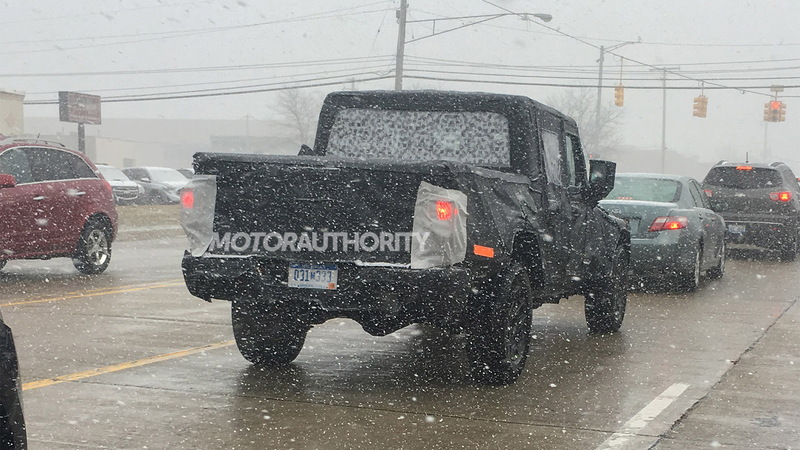 Now we have the first spy shots of the Wrangler pickup which is expected to hit showrooms in April 2019, likely as a 2019 model. 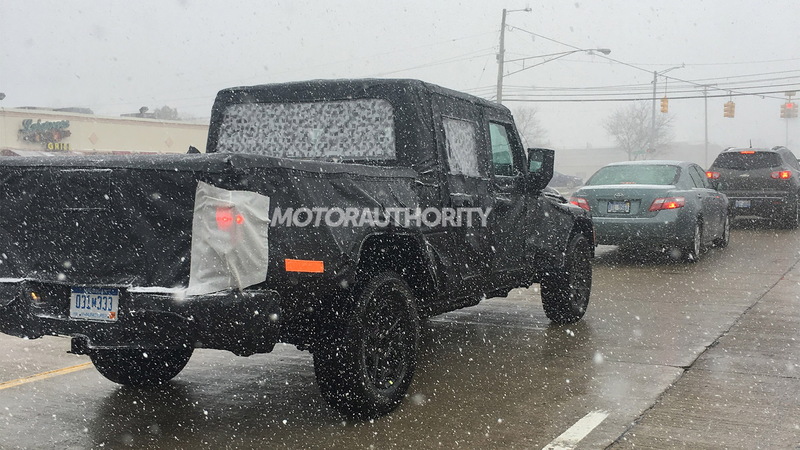 The are rumors Jeep will label the vehicle a Scrambler, though we've also heard the SUV brand might go with the name of one of its previous pickups. The list includes Comanche, Gladiator (later J-Series) and of course the original Willys Jeep Truck. 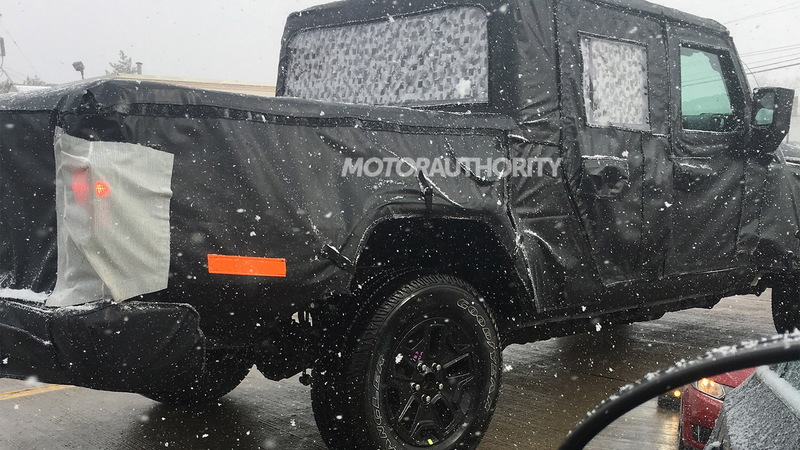 Whatever it ends up being labeled, we know from the spy shots it will feature a crew cab body and a reasonably sized bed. 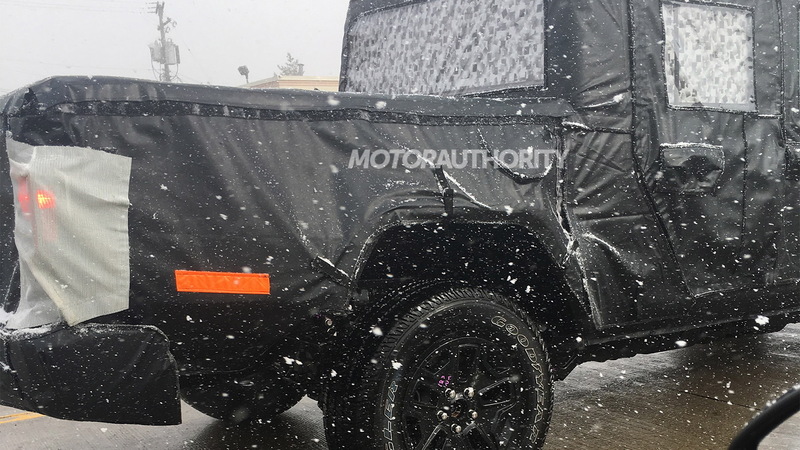 The shots also suggest the vehicle will be a carbon copy of the new JL Wrangler from the front bumper to the start of the bed, and we bet the interior will be a match too. A conventional flip-down tailgate should sit at the rear, and it isn't clear at this point if a two-door model will be added. Potential rivals include mid-size pickups like the recently revealed Ford Ranger plus the Chevrolet Colorado, GMC Canyon and Toyota Tacoma. Of course, given its Wrangler underpinnings, the Jeep should be the most capable when heading off-road thanks to a ladder frame chassis and solid axles suspended by coil springs. Expect powertrains to match the offerings of the Wrangler. This means a 2.0-liter turbocharged inline-4 with mild-hybrid tech and 270 horsepower and 295 pound-feet of grunt, as well as a 3.6-liter V-6 with 285 hp and 260 lb-ft. Plug-in hybrid and diesel powertrains have been confirmed for the Wrangler and might make it into the pickup as well. 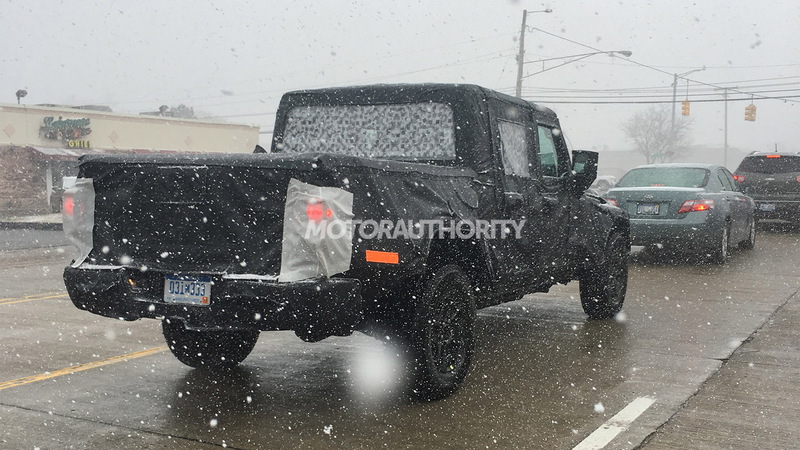 Look for a debut of the Wrangler pickup near the end of the year. A debut at the 2019 Detroit auto show next January is a strong possibility.